Karen Shields knows all about dealing with large health systems. 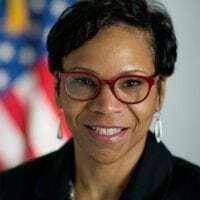 As the previous Senior Executive Service member at the Health and Human Services Department’s Centers for Medicare Service, she was responsible for all administration and operations for HealthCare.gov. In that role, she led multiple open enrollment periods under the Affordable Care Act. In her position at Serco, she is responsible for its CMS contracts, which involves similar skillsets. She also leads the expansion of Serco’s consulting, business processing and operational solutions that assist federal, state and local governments in providing health care services and solutions. Shields sees a great need in more active federal-state collaboration to produce improved results in health care service delivery. She has been very active in speaking to states and legislative organizations while encouraging them to work together. “I use the term ‘ruthless collaboration’ to describe public companies and state agencies focusing on partnership and proactive problem solving to aggressively and permanently move the needle in solution design and consumer focused health care solutions,” she says.